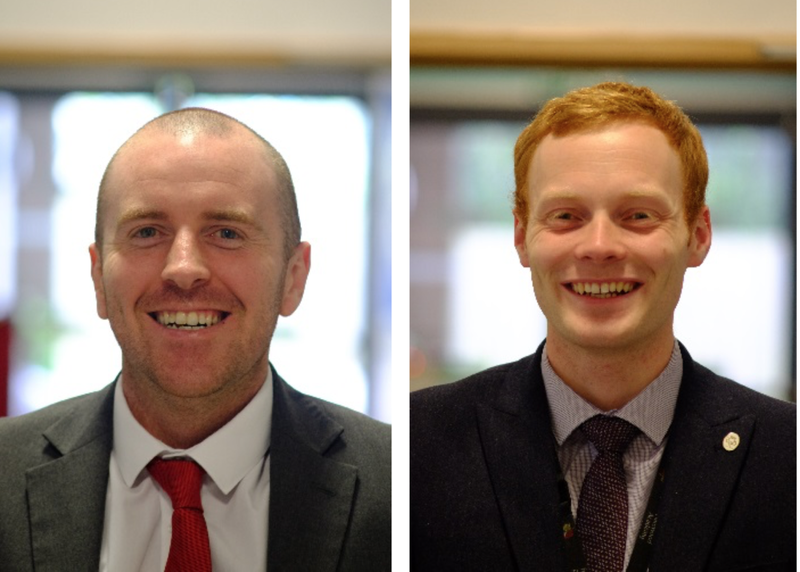 Chris Hilliard (L) is the Second in Science and Associate Assistant Principle at Halewood Academy in Knowsley, England. He and colleague, Tom Gilbertson (R) have researched, designed and introduced a new program of study for science, as well as delivering training on evaluation and research based practice. You can follow their journey by following @HalewoodScience. Over the past three years we have faced a number of challenges in improving the quality of learning in our school and department. On many occasions we have rewritten and tweaked lessons and Schemes of Work (SoW) to incorporate new policies or ideas. As scientists, we like to think that we were critical of the evidence, but as teachers we took many ideas as logically sound and proceeded without question. More recently, we have begun to read and discuss the fundamentals of psychology and its place in the classroom, alongside working with the idea of demanding rigorous evidence prior to full implementation. During this time, we have realized that as a department we have not progressed strategically at all in the last few years; yes, our lessons are slicker and more challenging, students’ needs are catered for more consistently, and behavior is monitored and dealt with more efficiently – but the basic principles remain the same: flawed. Here, we present our outline for a new SoW using ideas presented by The Learning Scientists and other well-regarded authors and researchers. This SoW moves away from the idea that in the two or three years in the lead up to GCSE exams (exams taken at the age of 16) students will be taught each topic once. The outline is broken down into four main parts: Part 1 – Big Ideas Scheme of Work; Part 2 – Spacing & Interleaving Across the Years; Part 3 – Spacing Through Homework; Part 4 – Classroom Practice. We started our SoW by thinking about Threshold Concepts – ideas that are so fundamental that once you are familiar with them you cannot imagine how you worked without them (1). We planned the Sow so that that the topics and ideas that are revisited the most and therefore need to be taught first are these Threshold Concepts. In science, these are topics such as gravity, atoms and conservation of energy. Prior to our planning we already made use of a textbook that had split the course down into eight sections; these are our eight Big Ideas (below are the Big Ideas for physics). In order to identify the Threshold Concepts of each Big Idea, we worked with the subject specialists in our department and asked them to choose the most important parts of each Big Idea, where students struggle the most. Their answers form the foundation of the plan for Year 9. Rather than working through a Big Idea completely, our students will take one or two weeks to cover the Threshold Concepts, before moving onto a different topic entirely. Not only will this intertwine the Big Ideas of biology, chemistry and physics, it will also intertwine the topics within each subject themselves (2). Besides revisiting each Threshold Concept and Big Idea multiple times throughout the semester, we recognized the need to space the learning and attempt to match the theoretically optimal intervals (3) as much as possible. As such we have timetabled weeks in the SoW throughout the course to recap prior learning in preparation for topics that require a foundation of understanding. As suggested by the research, the spacing intervals reduce as the time until the final exams reduces. This means that in Year 9 the intervals are around six weeks and in Year 10 these are three to four week intervals. During Year 11 they begin as three to four week intervals and reduce down to two weeks and one week in the final month before the exam. Evidence summarized by the Education Endowment Foundation (4) suggests that homework is extremely beneficial for older children to progress. Knowing that homework is an evidentially sound strategy, we decided to bring it in line with our spaced teaching schedule. By running our homework schedule approximately five weeks behind our teaching schedule we have done more than just plan to aid retention through spacing. During the initial five weeks of each academic year – prior to homework being set on the new content – we have the opportunity to provide homework that recaps learning that will have been forgotten over the summer break. At the beginning of the secondary school journey (Year 7) we can recap learning from primary school and help demonstrate the link between the primary and secondary curriculum. In our context, we have struggled to engage a significant number of students in large and challenging homework. As such, our new homework strategy provides a small number of simple questions that will take the students between 10 and 20 minutes to complete. This introduces the testing effect, or retrieval practice – low stakes test at regular intervals (5). It was clear to us from looking at the retention curve (6), (7), that most of the forgetting takes place within or just after the lesson, so we felt that it was important to address this alongside attempting to solve the problem of long-term retention. This is by far the most challenging part of the plan as it involves a large number of teachers and relies on being able to “sell” these ideas to them. Despite the firm scientific background to these ideas, the challenge in education is shaking people out of the attitude that the correct approach is the approach that we have always taken. In addition, we will face the barriers of cognitive dissonance (whereby we resist processing information that conflicts with our beliefs, (8)), hence we cannot just proscribe a new style of teaching. The first item of training that we are planning is to raise awareness of the limits of working memory and cognitive overload (9). Through this we are hoping to reduce the instances of lessons that contain too much content at the expense of retention. We have experienced the effects of this when catering for a conflicting requirement… pace. There was a lesson that was taught for an observation that had a higher than usual pace; the judgement was very positive, yet this was the one lesson that the students failed to recall nearly anything on when it came to revision. Another strategy that we are implementing is a lesson framework that we aim to use once or twice a fortnight. This involves teaching new content, but breaking the lesson time up with short quizzes that recap content from the previous lesson, a few weeks ago and from further back in the course. We have combined one of these quizzes with the need to develop general scientific skills in our students over time. The final aspect of our plan is the constant review and evolution to reflect evidence and attainment of our students. This emphasizes the importance of taking teacher experience into account with any new strategy alongside theory and effect size from randomized controlled trials. (1) Meyer, J. H. & Land, R. (2006). Overcoming Barriers to Student Understanding: Threshold Concepts and Troublesome Knowledge. New York: Routledge. (2) Cepeda, N. J., Vul, E., Rohrer, D., Wixted, J. T., & Pashler, H. (2008). Spacing effects in learning: A temporal ridgeline of optimal retention. Psychological Science, 19, 1095-1102. (3) Rohrer, D. (2012). Interleaving helps students distinguish among similar concepts. Educational Psychology Review, 24, 355-367. (5) Roediger III, H. L., & Karpicke, J. D. (2006). Test-enhanced learning: Taking memory tests improves long-term retention. Psychological Science, 17, 249-255. (6) Murre, J. M., & Dros, J. (2015). Replication and analysis of Ebbinghaus’ forgetting curve. PloS one, 10, e0120644. (7) Custers, E. J. (2010). Long-term retention of basic science knowledge: a review study. Advances in Health Sciences Education, 15, 109-128. (8) Wicklund, R. A., & Brehm, J. W. (2013). Perspectives on Cognitive Dissonance. Psychology Press. (9) Kirschner, P. (2002). Cognitive load theory: Implications of cognitive load theory on the design of learning. Learning and Instruction, 12, 1-10.